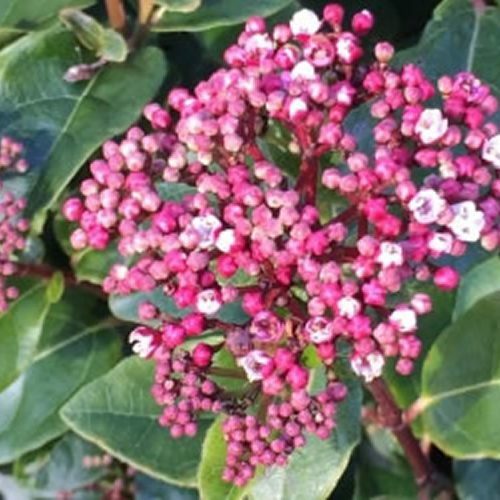 This stunning evergreen shrub adds welcome colour and scent to the late autumn and winter garden. 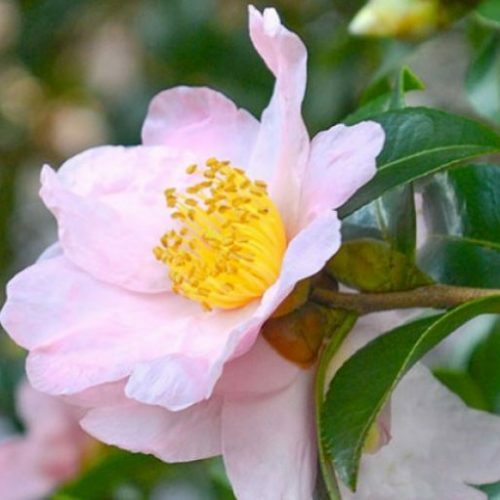 It produces masses of sweetly scented, pale pink flowers with a centre of golden stamens from October through to December. 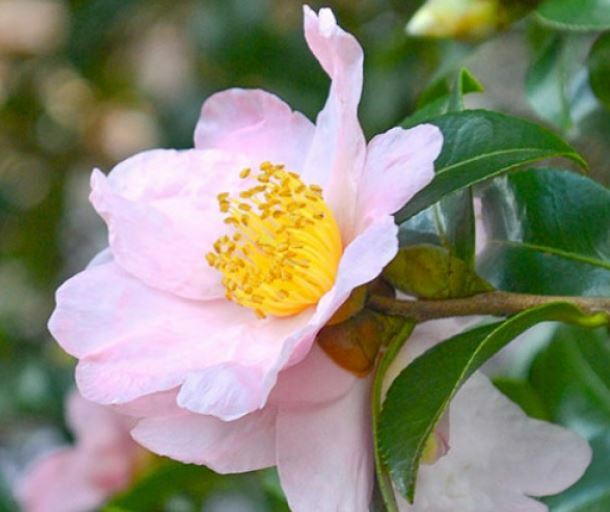 It has a more open and graceful growing habit than the later flowering Camellia japonica varieties and can be trained as a wall shrub or planted in a pot. 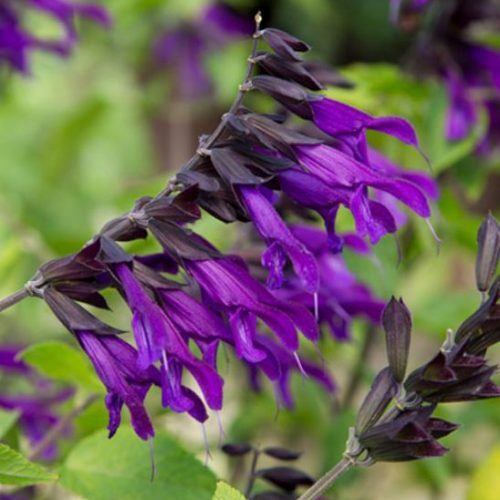 It does best in moist, acidic, well drained soil with shelter from cold, drying winds and early morning sun. Water established plants in dry weather to prevent bud drop. Apply a balanced liquid fertiliser in mid-spring and again in June. This stunning, relatively new perennial is at its best now but flowers from May to November if regularly dead-headed. It has deep purple, trumpet shaped blooms with almost black calyces and stems. 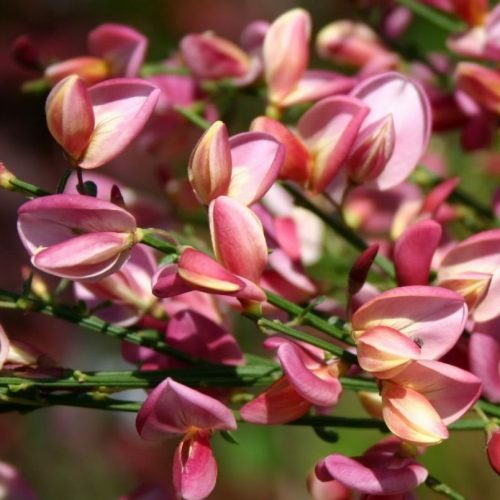 It is a wonderful plant for attracting bees. Remove flower spikes as soon as they start to fade and mulch around the base with well-rotted garden compost or manure in spring. This is a tender perennial, but even with last winter's bad weather all our plants came through unharmed! They can be prone to slug and snail damage when emerging in spring, but once up and away cope well. 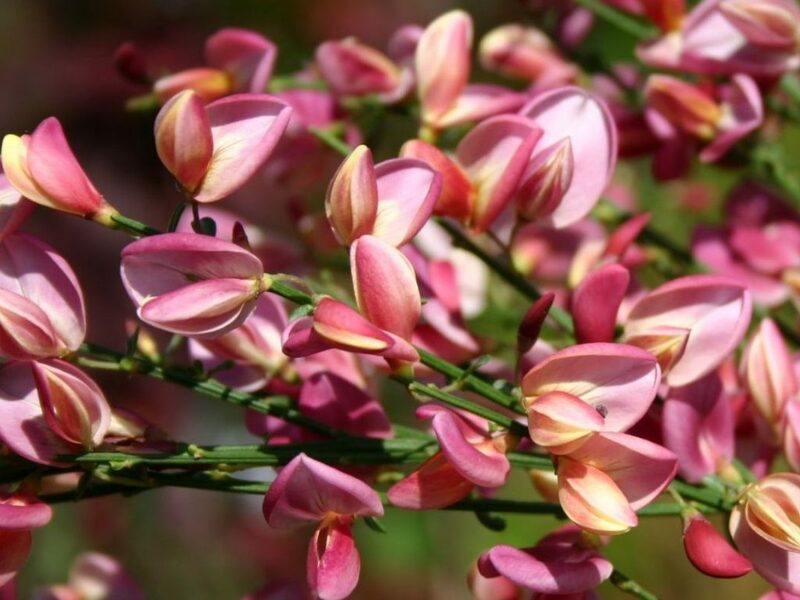 This deciduous shrub produces long arching shoots with clusters of pea-like flowers in cream and dark pink in late spring and early summer. The sprays of flowers are followed by narrow mid-green leaves. This shrub will thrive in poor sandy soils in a sunny position and is very good at attracting bees and other beneficial insects. 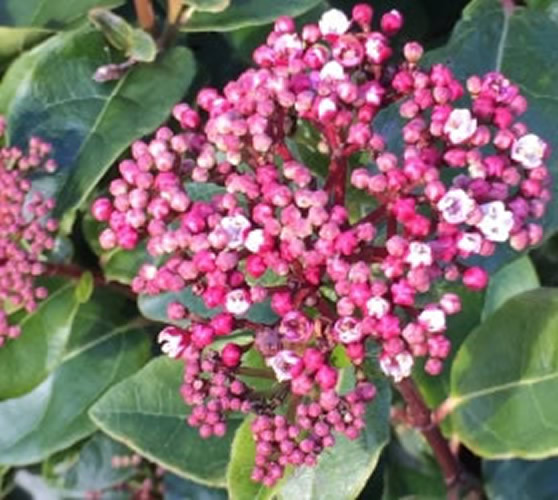 This is a fairly new variety of Viburnum tinus, with dark green leaves and deep red buds which open to creamy white flowers from December to April, followed by blue-black berries. It is evergreen, low maintenance and tolerant of both sun and deep shade and so is a valuable garden staple providing year round interest. Flowering from midwinter onwards, it provides colour at a time when it is all the more appreciated.